The boys, some the age of Little Leaguers, the others just a few years older, were sleeping one night long ago about 1 a.m. They were all cousins, or brothers, and some slept two to a bed. They came from Chicago and from Summit, and were visiting family in Mississippi. They had just fallen asleep on a Saturday night. Some woke when they heard the voices of white men outside the house. There was a woman with them. The men were saying they had business with a fat boy from up North. The men came through Parker’s room, didn’t find what they wanted, and kept on, to Simeon Wright’s room. It was his family’s house. His father, Mose, was a cotton farmer. “I heard loud talking outside the house,” Simeon Wright told me. “When I opened my eyes, I saw two white men at the foot of my bed. One had a flashlight and a gun. They took Emmett Till out of the house, then tortured him and finally killed him. Sunday is the anniversary of when his mutilated body was found in the Tallahatchie River. It was 1955 — 59 years ago. The killers, Roy Bryant and his half brother J.W. Milam, were indicted by a grand jury on murder and kidnapping charges. But they were acquitted by an all-white jury. And later, under double-jeopardy protection against being tried for the same crime twice, they bragged to Look magazine that, yes, they had indeed killed Emmett Till. The anger and ugliness of it all kicked off the civil rights movement in America. Till was 14. His cousin Wheeler Parker was 16 at the time. His cousin Simeon Wright was 12 years old. Wright and Parker are elderly now, living out in the suburbs of Chicago, and the other day I sat down with them to spend a few hours talking about what happened. Parker, 75, of Summit, owns a local barbershop. Wright, 71, is a retired pipe fitter now living in Countryside. We met the other day at the Emmett Till Community Center, 6450 76th Ave., Summit. I wanted to talk to them because of the anniversary, and because many of us have become calcified in our perspectives. Our reaction to the police shooting in Ferguson, Mo., tells me so. Many African-Americans think justice would be a quick conviction of the white cop who killed unarmed black teenager Michael Brown. And many whites think the cop was justified in shooting Brown, who stood over 6 feet and weighed almost 300 pounds. Even though no charges have been filed, no trial has been held and no real evidence offered, many have already reached their verdict. If you’re white and you suggest the killing may have been justified, you could be denounced as a racist. If you’re black and you think the cop should be thrown in jail, you could be seen as seeking revenge for the sins of the past. Tribes have formed and facts have been run off. In Mississippi so long ago, the stories told at the Till trial had the boy mouthing off to Carolyn Bryant, a woman at a country store. He supposedly reached for her and told her not to worry because he’d been with white women before. That was Carolyn Bryant’s story. The jury wasn’t in the courtroom. She hadn’t been sworn as a witness. But she was allowed to give what the South then considered justification for murder. Wright and Parker were at the Bryants’ store when it happened. 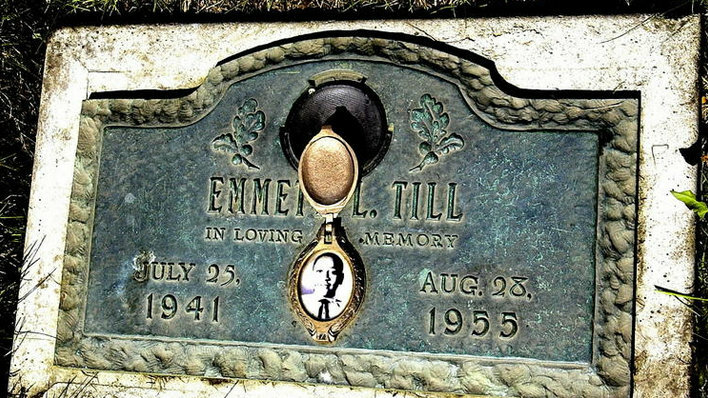 They say Emmett never touched her or spoke to her. If he had talked that talk, they said, they would have jumped on him. Instead of talking or touching, all Till did was whistle at her, a long wolf whistle. That alone terrified his cousins. They knew it was deadly. They ran out of the store and into a car, and later fled across the cotton fields, waiting for hell to be paid that night. But it took a couple of days for the men to come. Adults in the family were worried that Till’s spirited nature and Northern ways would cause them harm in the South. The cousins were told to watch him, to make certain he said ‘Yes sir’ and ‘No sir’ whenever he addressed white people. But they couldn’t stop him from whistling. When Wright meets people and they learn his cousin was Emmett Till, there are certain expectations. They’re often invited to schools, to tell the children what they saw with their own eyes. But they don’t preach revenge. Whatever Juanita Milam knew about the 1955 murder of a Chicago teen may have died with her. JACKSON, Miss. — The death of a 86-year-old Mississippi woman barely made headlines last week. The brief obituary on Juanita Milam ran in the (Biloxi, Miss.) Sun Herald, but few noticed her passing, despite her being the widow of a killer in one of the nation’s most notorious crimes. 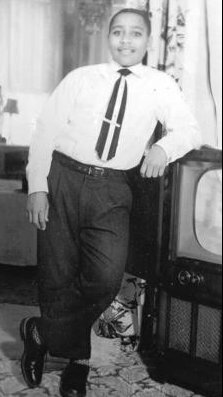 On Aug. 20, 1955, Emmett Till, a 14-year-old black youth from Chicago arrived in Money, Miss., by train, along with a cousin, 16-year-old Wheeler Parker Jr. They had accompanied Till’s great uncle and Parker’s grandfather, Moses Wright, who was returning home to the Mississippi Delta after a brief trip up North. Four days later, Emmett, several cousins, and a few neighbor kids drove into town to the Bryant Grocery and Meat Market, where 21-year-old Carolyn Bryant was working behind the counter. Till entered the store and purchased bubble gum; when he left, Carolyn followed him to the door. A Northerner unfamiliar with Southern etiquette, he then waved, said “goodbye” (not “goodbye, ma’am”), and, according to family members, directed a wolf-whistle at the young white woman. She became upset and went toward a car — to get a gun, according to trial testimony. Till and his frightened companions got in their own car and sped off toward home. Three days later, at around 2 a.m., the woman’s husband, Roy Bryant, and his half-brother, J. W. Milam, forced their way into the Wright home, grabbed Till out of bed at gunpoint, and took him away. Three days later, Till’s beaten, swollen, and decomposing body surfaced in the Tallahatchie River and was discovered by a young fisherman. He had been weighted down with a 75-pound cotton gin fan. Till’s shocking murder became national and then international news after his mother insisted on an open-casket funeral so the world could see what happened to her son. Photographs of Till’s battered face ran in the black press, and tens of thousands of Chicago mourners filed past his coffin over a five-day period. Milam and Bryant were arrested just after the abduction and went on trial for murder on Sept. 19, 1955. An all-white jury acquitted them five days later. The Till murder remains one of the most brutal in American history, and the trial verdict is considered one of the nation’s great injustices. Two women especially intrigued visitors at the trial, Mamie Bradley, mother of the victim, and Carolyn Bryant, the former high school beauty queen working at the store. A third woman, 27-year old Juanita Milam, was a less conspicuous part of the proceedings. She was the wife of J. W. Milam, and as she watched her husband’s trial and sat on the stand as one of his character witnesses, she clearly wanted to be anywhere but a courtroom. Clark Porteous of the Memphis Press-Scimitar said that Juanita appeared “shocked by the proceedings,” and he described her as a “sad-faced woman.” Like Carolyn, Juanita said next to nothing publicly in the six decades after the trial. Whatever secrets Juanita Milam harbored all of those years regarding the role of her husband, brother-in-law, and anyone else involved will probably never be known. Juanita died quietly on Jan. 14 in Ocean Springs, Miss., her home for the last several years. Mary Juanita Thompson was born in Greenville, Miss., on Dec. 10, 1927, the fifth of six children born to Albert and Myrtle Thompson. She married World War II veteran John William Milam on Dec. 10, 1949, her 22nd birthday. 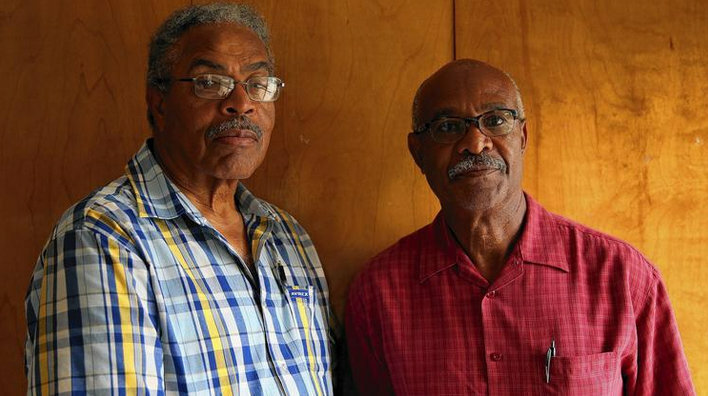 They had two sons, Horace William, born in 1951, and Harvey, born two years later. They made their home in Glendora, Miss., where J. W. ran a store. It burned down in 1954, and after that, J. W. helped out in other family stores, did trucking and worked on local plantations. The Till murder would change their lives forever. Less than a month after the verdict, journalist William Bradford Huie offered to pay the brothers $3,150 for their story. Knowing that double jeopardy prevented them from being tried again, they weaved a tale of kidnapping and murder, yet they were careful enough not to indict any accomplices. Their story, which appeared in the Jan. 24, 1956, issue of Look magazine, contains gross inaccuracies. Nevertheless, the article captivated readers all over the nation. Any profiteering off Emmett Till’s blood apparently backfired in the end, however. Former friends and supporters, who never really doubted the guilt of the half-brothers to begin with, wanted nothing to do with them once their confession was in print. A year after the murder, the Milams were reported to be living on a farm in Mississippi between Ruleville and Cleveland. Around that time, Huie interviewed the brothers for a follow-up article that also appeared in Look. In the accompanying photographs, both men look happy, but it was obvious the smiles were only a facade. Huie described them as having “been disappointed,” explaining further, “They have suffered disillusionment, ingratitude, resentment, misfortune,” but as yet, no guilt. Few had pity on them. Milam owned no land and could not get his former backers to rent to him. He was finally able to rent 217 acres in Sunflower County with the help of his brother-in-law and secured $4,000 to plant cotton from a Tallahatchie County bank where one of his defense attorneys, John Whitten, sat on the loan committee. Blacks would no longer work for Milam, and that forced him to pay whites a higher wage for the same work. For three years, Milam held several menial plantation jobs. The Milams later moved to Orange, Texas, but stayed for only a few years, returning to live near Juanita’s parents in Greenville. He found himself back in the courtroom on occasion after the acquittal in Sumner, but his crimes — among them writing bad checks, assault and battery, using a stolen credit card — were miniscule when compared to the murder charge he faced in 1955. J.W. later worked as a heavy equipment operator until his retirement, which was forced upon him early because of ill health. He succumbed to cancer of the spine on New Year’s Eve, 1980 at age 61. It was rumored J.W. and Juanita had divorced years earlier, as did Roy and Carolyn Bryant, but when J.W. died, Juanita was listed as his wife in his obituary. No divorce record for the couple exists in Washington County where they lived. Juanita never remarried. By the time the Milams returned to Mississippi a decade after the Till trial, the outrage over the murder had subsided, and they were able to live quietly, for the most part. At some point in the 1960s, Juanita began working as a hairdresser at the Greenville Beauty Salon. In 1971, Greenville Mayor Pat Dunne declared Feb. 14-20 as National Beauty Salon Week, and Juanita served as chairwoman. In 1975, Juanita served as president of the local affiliate of the Mississippi Hairdressers and Cosmetologists Association. Clearly, Juanita felt at ease in her local community. Like Till’s mother and later, Carolyn Bryant, Juanita Milam experienced the death of a son, when in 2008 her eldest, Bill, died in Greenville at age 57. She is survived by her son Harvey, a sister, a brother, four grandchildren and a great-grandchild. Attempts to contact two of her grandchildren were unsuccessful. That night at the store, however, Carolyn went to a car that she said belonged to Juanita, to get a gun. The Bryants didn’t own a car; the Milams did. If Juanita was not there, who was? Students of the Till case remember seeing Juanita stand by her man during the trial and after the jury read the verdict. More than one photographer in Sumner captured her smiles as her husband was set free. That, of course, only tells part of her story.